Unusual beech derby with textured sides to the derby handle. Finished with white metal collar. 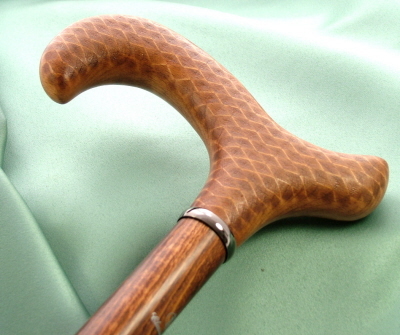 Base of the cane finished with base rubber ferrule.